I don’t really write much unless it’s for school, and I don’t really talk about myself very much either, but I wanted to say ‘thank you’ to you for the opportunities you’ve given me over the last year. If you know me, you know I love playing basketball. I like the challenge of the game, throwing baskets, psyching out the other players, and I like the excitement of a game or a one-on-one competition. I like to think I have some b-ball skills. I play on the basketball team at PCVS and I’ve just started grade 10 this year. If I’m not playing at PCVS, I like to shoot hoops at the YMCA when I can. I play a lot at the new outdoor court at Simcoe and Bethune, not because I like it better than the YMCA, but because it’s free. To get in at the YMCA I have to buy a day pass and I can’t ask my foster family for that kind of cash. So, I save up my change until I have enough. I don’t like people seeing me have to count my change so I wait to sign in until I’m alone at the front desk. I like being able to pay my own way and I don’t want to accept charity. When I’m at the YMCA, I sometimes hang out with a guy named Jordan and some of his friends. One day the guys were complaining about their parents and how much they hate their rules and the things they make them do. I got angry at them, which I don’t like to do because it’s nobody’s fault, but I got angry at them and told them they should appreciate what they’ve got. Having one real parent who’s watching out for you is great – having two of them is just plain lucky. Sometimes, I wish I had that. I told the guys they should appreciate what they’ve got because if they couldn’t do something they wanted to do or didn’t have parents at all, they miss them. I know I do. I guess what I said that day meant something to Jordan because he told his Mom about me – about what I said, about how much I love basketball (and my skillz), and how I have to count my change (I guess people saw me after all). One day, Jordan came to find me on the outdoor court downtown because he had something to tell me. The YMCA had said they would give me a membership if I’d agree to be a volunteer and help to teach some other kids some basketball skills. Can you believe it! I was totally excited! Having a membership means I can play basketball inside whenever I want. It means I get my own card with my picture on it and it means that I get to swipe the card instead of counting my change! With a membership I can even swim in the pool! 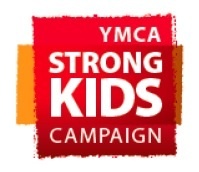 Kelly (that’s Jordon’s Mom), told me that the YMCA was able to give me a membership because of the money raised through the Strong Kids campaign. She explained that throughout the year, members donate money and fundraise in order to do things like give a future NBA star some free court time (yeah, that’s me I’m talking about). So, I wanted to say ‘thank you’ to all of you guys. I wanted to say ‘thank you’ for hearing what I wasn’t saying, ‘thank you’ for taking a chance on me, and ‘thank you’ for giving me the chance to volunteer and do something good for the YMCA. You did something good for me. I need the YMCA to keep me strong.